This entry was posted in Genealogy and tagged Altenstadt, Bavarian Swabia, Emigration, Jewish Genealogy, Modern History. Bookmark the permalink. This blog is quickly becoming a valuable resource. Neat stuff. A small recommendation would be that you consider uploading larger graph images, but just insert them into the body in a smaller format. That should allow those readers who are interested to access more legible versions. 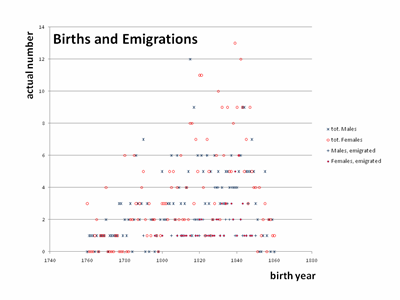 In particular, I would like to see larger versions of the Birth and Emigrations and the Emigration Fraction graphs. The latter is almost legible, but the first isn’t at all. When will you go ‘live’? Just beginning to search this out. Got curious after doing some work on ancestry.com. Great site! This site has been very helpful in my quest of my Altenstadt ancestors who immigrated to Richmond, Virginia in mid 1800’s. Thank you! Hello,I enjoyed your blog! Before my grandmother passed away in 1996 at the age of 85.she told me her grandparents were German Jews and in her words,”came to America on a cattle boat to escape persecution.” Their names were Elizabeth Heidleberg and John Bickler .They changed the name to Bueglar,to sound less Jewish,when they settled in America. 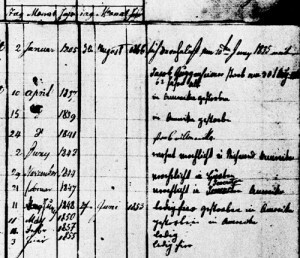 I recently went on Ancestry.com and found a match,saying they came from Bavaria.So,after reading your blog,I’m thinking they were part of this migaration from Bavaria from 1841-1855. THeir son,John Jacob Bueglar was my great-grandfather. He was married to an Irish girl,Mary Clydie Haney. They lived in Kentucky,then Ohio,where my grandmother Esther Bueglar was born. I would appreciate any info! Thank you and God bless! 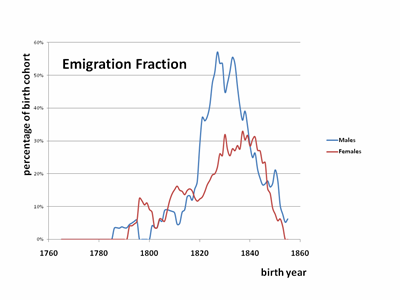 I am taking a family history/genealogy certificate class at the University of Washington and am writing two papers on my great great grandfather Maier Zunder who strongly fits the profile for Bavarian immigration. He was born in 1829 in Fuerth, emigrated in 1848. He moved to New Haven and had a long successful career as a merchant, bank president and member of the Board of Education. How did you get the family book? Did it come from the archives in Munich?? I would love to correspond with you on this.